Have you noticed that we always have a project or two happening at our home? Thus began the most recent of our projects: six, 4-foot by 10-foot raised beds. I'm honest enough to admit that I want instant gratification from our projects. Once I decide on something (like a raised bed garden), I want to install it that day so I can start planting. Peter, however, is a bit more...practical. And precise. I think I've mentioned once or ten times that he's Swiss. Well, you know those Swiss. Those lovely people who gave us the finest chocolate and the world's most precise time keeping instruments are not going to rush head-first into a project. Instead, very methodically, Peter reminds me that our garden slopes. I don't remember this. He's just stalling. I look. Wow, when did that slope get here? Ah well, we'll just put the beds down and deal with the slope. Patiently, he explains that the beds won't lay flat. We need to create beds that are adjusted to the slope and that can anchor into the soil. While Peter measures and plans and Swiss engineers his design for the raised beds, I gaze longingly at my ideal, too expensive and impractical-for-a-sloping plot Gardener's Supply cedar beds. As is par for the course with all of our endeavors, my idealized quick weekend project turns into a month-long, all consuming PROJECT. This is how it works at our house: I come up with Great Ideas, and Peter somehow makes these ideas a reality. I just need to work on my patience. And, I must say, all of the measuring and sawing and Swiss perfectionism is always, always worth the wait. TA-DA! Our new raised beds! Our sloping garden is now tiered—we still need another delivery of top soil to fill in the gaps, and then we'll mulch between rows. But today, I'm making soil. There's a lovely formula for making soil for raised beds. First, though, we need to calculate the volume for each raised bed. Remember back to your junior high geometry class? Length x width x height? We're determining how many cubic feet each raised bed will hold. 10 x 4 x .5 (half a foot or six inches) = 20 cubic feet. The raised bed will hold 20 cubic feet of soil. But wait—I have SIX raised beds. 20 x 6 = 120 cubic feet. That's a lot of soil. Particularly when you own a Prius, not a truck. Once you calculate the volume for your beds, it's time for more math. , the author claims it as his own mix--and has even named it for himself. Interesting. I learned the formula in Master Gardener class years ago, and no one tried to claim a copyright. 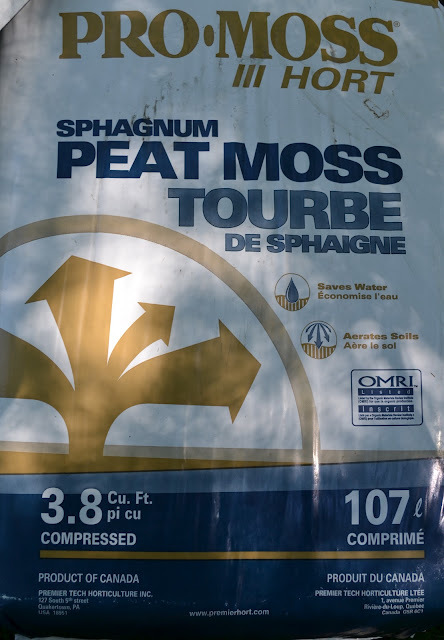 Peat moss is typically used to provide a light, airy texture to heavy soils. 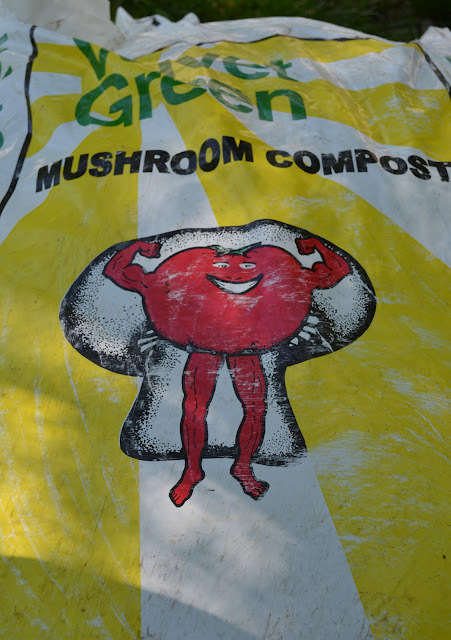 Compost provides nutrients and microorganisms for your plants' health, and vermiculite helps to retain moisture. Armed with my list, I went to my favorite feed and seed store and stocked up. Did I mention that I drive a Prius? As soon as I made the purchase, I drove straight to one of the big box stores to rent a truck to haul my loot home. Hooray! The truck was waiting in the lot! Despair! Someone just rented it. Have I mentioned that I've never driven a truck? Oddly, I was strangely excited to drive the truck. Perhaps it was the empowering notion that I could follow through on one of my wacky plans without Peter needing to intervene and save me. The rental person assured me that the truck would be back in 1-1/2 hours. This was at 9 a.m.
By noon, I panicked. Still no truck. Thank goodness for friends who know of my crazy plans. And thank goodness for my friend Brandy, who volunteered her husband and son to pick up and deliver my stash. And, honestly—thank goodness that I didn't have to unload the truck! Seriously. There are good people in this world. Now, though, my task today is to move this pile to the back garden. And fill those lovely, Swiss engineered raised beds. By tonight, after a day of hauling and mixing soil, I'm certain I will be able to fit into my skinny jeans. Wish me luck! I'm determined to get the soil ready so we can PLANT. It's time to play in the garden! Do you garden in raised beds? In containers? In the good ol' Earth?